The custom Omni Track Stand features a dual focus block for fine and coarse height adjustment. 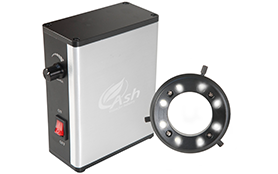 Track height of 500mm allows easy viewing of small and large samples. High quality anodised aluminium base for stability. 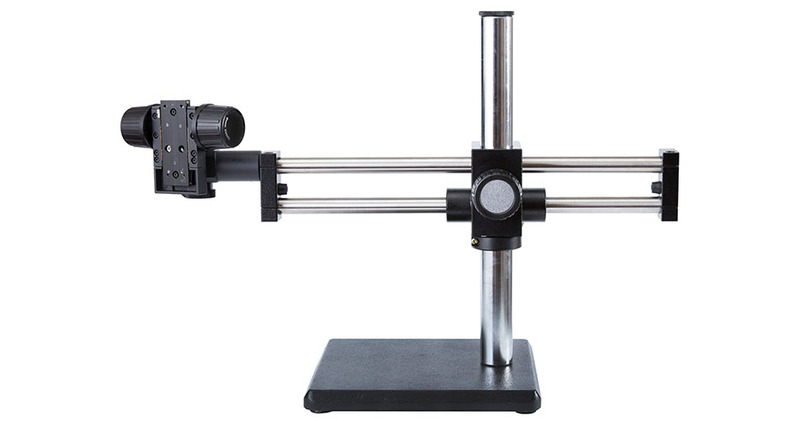 The custom Omni Illuminated Track Stand features a dual focus block for fine and coarse focus and height adjustment with integrated LED base illumination with light intensity control. High quality anodised aluminium base for stability and 500mm track. The custom Inspex Track Stand features a focus block that can travel the full length of the 500mm track for focus and camera height. High quality anodised aluminium base for stability. 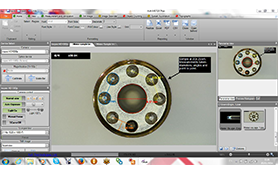 It is compatible with the full Inspex range. The custom Inspex Track Stand features a focus block that can travel the full length of the 500mm track for focus and camera height adjustment with integrated LED base illumination with light intensity control. High quality anodised aluminium base for stability. It is compatible with the full Inspex range. 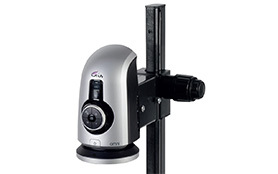 The Vesa Mounting Arm with bench clamp provides up to 470 mm reach and allows for variable height adjustment. 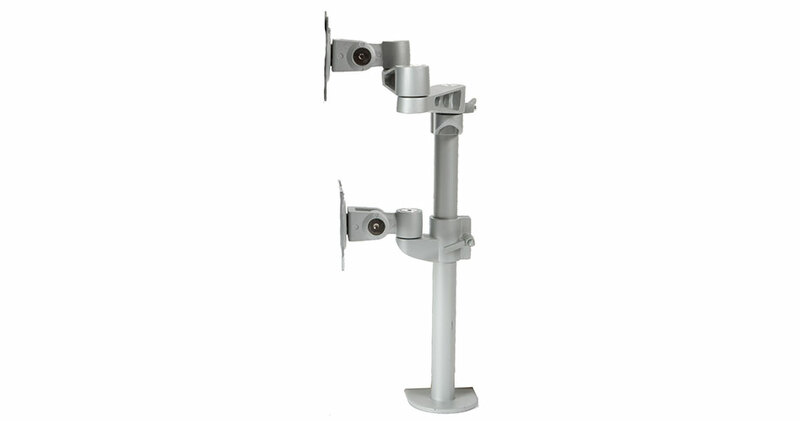 With the Vesa Mounting Arm you can mount your Inspex Vesa and monitor simultaneously leaving your work desk completely free. 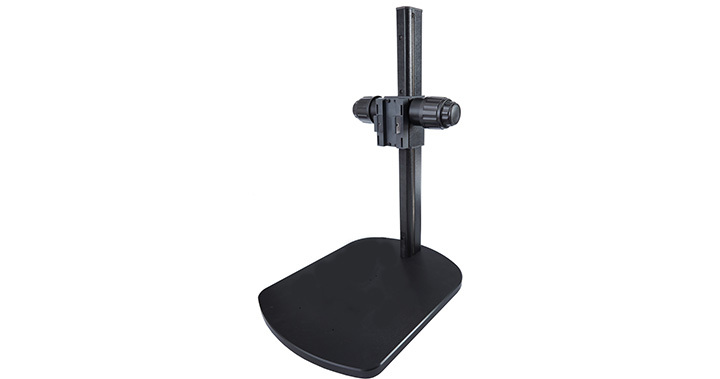 The dual arm boom stand provides an extended reach over large inspection areas. 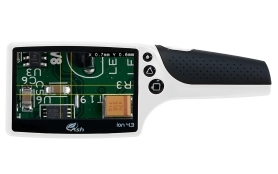 It features a horizontal arm which provides smooth camera movement and a focus block which allows for focus and height adjustment. Weighted base for added stability. Bench clamp version also available. 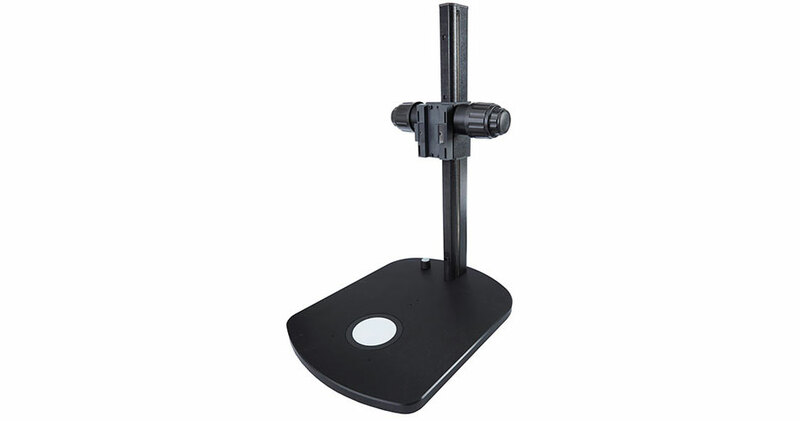 The articulated arm stand is a multi-point adjustable arm for inspecting over a large area. 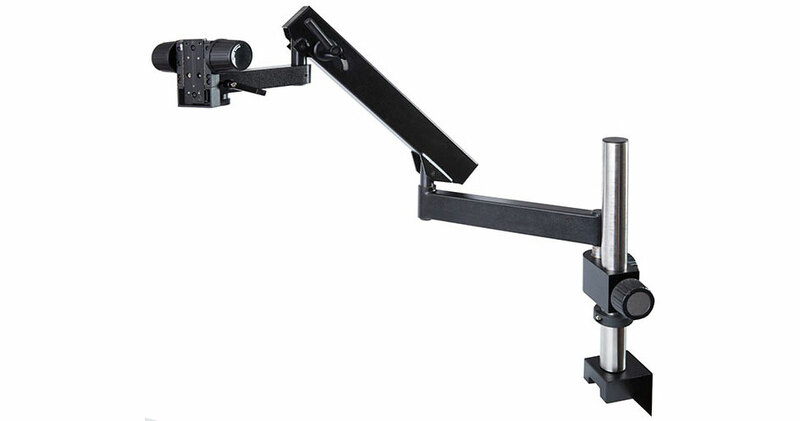 The articulated arm also features a focus block for focus and height adjustment. 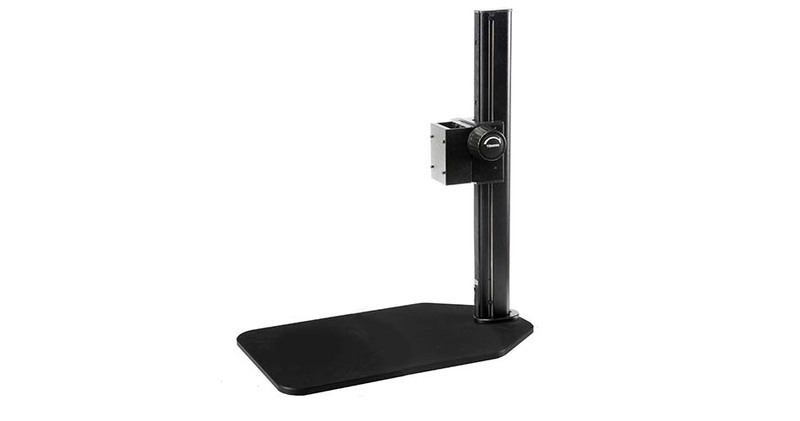 It can be supplied as desk clamp or with a weighted base.